Deciding to Buy - HuntChicago.com - Find Your Next Home in Chicago! Why Buy A Chicago Condo or Home With Us? HuntChicago.com is the premier search site. Potential home buyers will find tools unmatched in quality and information; real-time home listings combine with innovative tools, such as mapping and video, to provide a truly modern search experience. Active MLS listings can be easily accessed through the advance search feature. Buyers can sign up for alerts which notify them the moment a new listing fitting their description hits the market. Research neighborhoods, learn about local open house and reach out to an experienced agent directly from the site. Learn more about the local communities and neighborhood traits which make each of Chicago’s districts unique and interesting on our community pages. Offer amazing variety of tools for buyers including a powerful search capability, saved searches and alerting you when your perfect home hits the market, in-depth property details and advanced interactive mapping tools. So you like searching for homes off your mobile device? No problem, we have that covered too! Our mobile app allows you to take control of the real estate market from the convenience of your mobile device. Where ever you are our mobile app will be there to display very listing for sale, rent and even provide research on recently sold listings. Are you ready to make an offer on a home or condo? 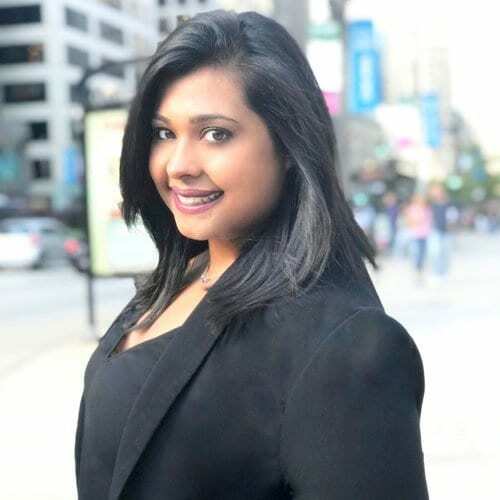 Crystal can be your guide to buying a condo in Chicago. She can assist with how much to offer on a condo. Work with a Chicago condos specialist that has all the tips for buying a condo in Chicago. There are different real estate sales contract for purchasing a Chicago condo or home. Multi Board 6.0 contract are used for suburbs outside of Chicago but it can be used to write an offer for a Chicago property. The Multi Board 6.0 is a 13 page contract that offers more customization on a contract. Pre-approval is basically a promise from the lender that you’re qualified to borrow up to a certain amount of money at a specific interest rate, subject to a property appraisal and other requirements. The process of getting pre-approved is actually quite simple. All you have to do is provide your lender the documentation that they require. Be prepared to supply your loan representative with pay stubs, bank account statements, tax returns and W-2 forms from the previous 2 years, and documents to show other sources of income (which could include a second job, overtime, commissions and bonuses, interest and dividend income, Social Security payments, VA and retirement benefits, alimony, and child support). Beyond that, the ball is in the underwriter’s court. Work to improve your credit score. Correct any errors on your credit report, which could help to raise your credit score. Decrease your overall debt and improve your debt-to-income ratio. Buying a home can be thrilling and nerve-wracking at the same time, especially for a first-time homebuyer. It’s difficult to know exactly what to expect. The learning curve can be steep, but most of the issues can be resolved by doing a little financial homework at the outset and working with an experienced agent that can handle any curveball that may arise in the process. Planning ahead and researching neighborhoods is most important. Or you can hire a real estate broker to help you. Although not all real estate transactions are done with realtors, majority of consumers turned to one in the sales process. If you are looking to engage a Chicago realtor@ please contact a specialist at 312-404-5994. 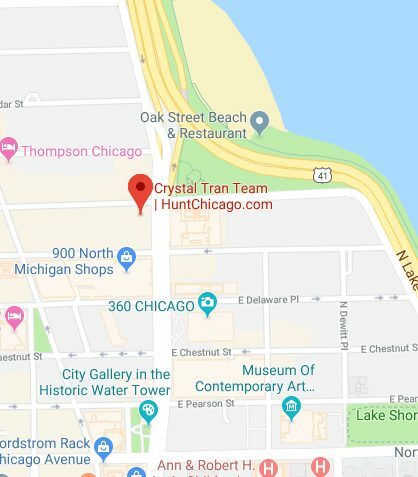 Are you relocating to Wilmette or Winnetka? Looking for more information to help you find the right city and neighborhood for your family? Our relocation guide includes the most up-to-date and vital information for people looking to move to our area. Successfully moving depends on having the right people in the right places. KoenigRubloff’s award winning relocation service is achieved with a professional staff of Real Estate agents and trained relocation agents servicing five counties in the metro Chicago area. To find out more information click here. Closing costs will generally range from 2 -3% of the purchase price depending on a number of factors. The following estimates apply to the city of Chicago, but will be similar for most of the suburbs such as Wilmette and Winnetka real estate closings. All closings are done through the buyer’s and seller’s and sellers attorney’s. If you are unsure who to use, ask the realtor you hired to recommend 2-3 attorneys they have personally closed a deal with. Almost all of these costs are paid at the time of closing. To view more information about closing cost for buyer and sellers click here. Are you looking for homes that are pre-listed and are exempted from the MLS? Often time Sellers sign listing agreements and are not ready to begin showing their home until they physically prepared the home for sale. The List agent is required to put the home on an Exempt Listing Sheet. If you are still not sure if an “exempt listing” is right for you please contact a sales associate who can help answers your questions or locate a exempt list in your desired neighborhood. A home warranty is a contract between a homeowner and a home warranty company that provides for discounted repair and replacement service on a home’s major components, such as the furnace, air conditioning, plumbing and electrical system. A home warranty may also cover major appliances such as washers and dryers, refrigerators and swimming pools. Most plans have a basic component that provides all homeowners who purchase a policy with certain coverages. Homeowners can also purchase one or more optional components that provide additional coverage at additional cost. To view pricing for home warranty from American Home Warranty click here.